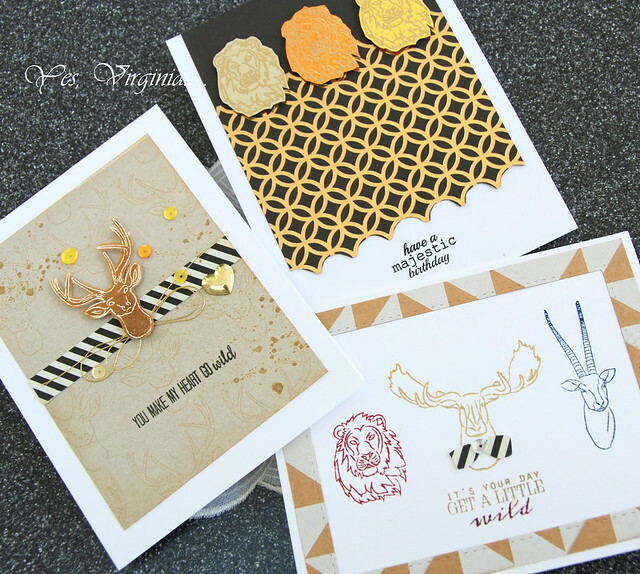 If you love to see my guest design projects, please head over to the ton stamps. We all know that making masculine cards can be a challenge! However, with the right stamps and a few key elements, you will be surprised how easy it is to make masculine cards! 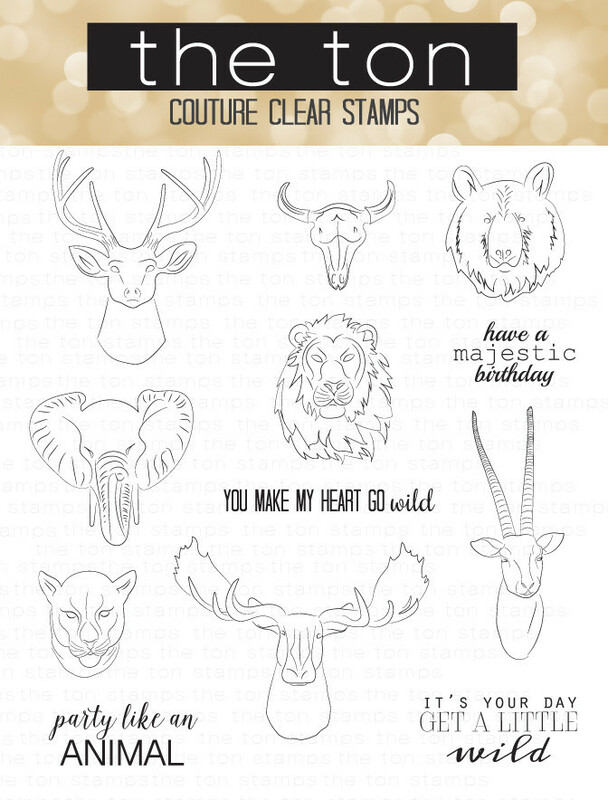 I have chosen the perfect stamp set “The Sketchy Menagerie” to prove my point. Please stop by the ton and check out my 3 masculine cards! The Ton's has a You Tube channel, you can see these stamps up close and personal. PS: Thank you so much for the birthday wishes for my son yesterday. David reads each and every comment. I know he really appreciates you all. David normally does not follow my blog, but yesterday he did! Haha! Please watch out for an upcoming huge giveaway in my blog. I really really want to thank you! oooohhh....fabulous. off to check it out. Wow, these are some cool stamps! I love what you've done, so funky and cool! Your cards are gorgeou. Love the B&W, gold and kraft combos. Stunning Virginia. Woot. Saw The Ton post. Nice work on the masculine cards. Think my favorite was the lion one. Loved the gold and the 3 different cardstocks, a lot. Congrats on guesting, terrific masculine cards!! What fabulous cards. I love when you make more then one card from a stamp set. You always find the most unique and fun ways to use them. Great design!! Wow you can do beautiful AND you can create manly cards as well and you do it so amazingly!! I enjoyed seeing this post - I always get stumped when it comes to masculine cards but you have really got my mind going!!! Thanks for all the inspiration and congratulations on the Guest Designing at the Ton!! A perfect match-up, you create beautiful things and they (the Ton) have beautiful products!! So happy for you! !